He has more than 20 years of experience in Steel, Education and IT Sector. He has executed strategic consulting projects for Coca Cola, SHRM, Colgate Palmolive, GES Australia, Autodesk China, Marubeni Japan, Hissan Kathmandu, Videocon, Akai, Henkel, ICICI Bank, Punjab National Bank, Baramati Agro, DRDO and several others. He has a rich experience of working across many territories like Switzerland, London, Mumbai, New Delhi, Kolkata, Chennai, Pune, Indore, Chandigarh and Dehradun. Prof. Chakraborti currently takes pride in teaching subjects like Business Analytics, Digital Marketing, Business Strategy and Business Research to students of ICFAI University Tripura. No matter what industry you work in, chances are the applications your business uses are generating vast quantities of data that are increasing exponentially. The confluence of technologies that generate enormous amounts of data, store it, and analyze it in a timely manner affords businesses an unprecedented opportunity to put that data to work. Big data, when processed with predictive analytics algorithms, lets you find new patterns in data, and make increasingly accurate predictions about future business trends and opportunities. Prof. Jayanta Chakraborty is a keynote speaker and he has more than 20 years of experience in Steel, Education and IT Sector. He has executed strategic consulting projects for Coca Cola, SHRM, Colgate Palmolive, GES Australia, Autodesk China, Marubeni Japan, Hissan Kathmandu, Videocon, Akai, Henkel, ICICI Bank, Punjab National Bank, Baramati Agro, DRDO and several others. He has a rich experience of working across many territories like Switzerland, London, Mumbai, New Delhi, Kolkata, Chennai, Pune, Indore, Chandigarh and Dehradun. He regularly advises businesses organizations on how to gain better insights from their data using SMART Big Data, Analytics and Metrics to Make Better Decisions and Improve Performance. Apart from Big Data Analytics. Prof. Jayanta chakraborty is also certified by “Google AdWords” in display, mobile, search, shopping and analytics. Jayanta Chakraborti is a prolific writer and author and has been associated with several National and International Media of high repute. He has written several articles for well known newspapers and business magazines like Maharashtra Herald, Tripura Times, 4Ps Business & Marketing, HR Factor and Strategic Management. 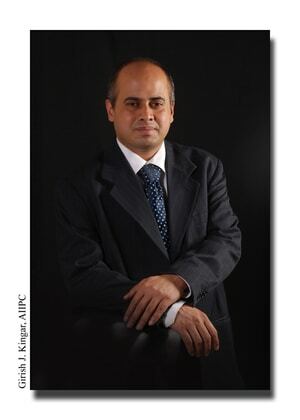 He was a weekly columnist with Indian Express and a highly acclaimed writer on business topics. He currently writes a blog on LinkedIn that is read by 25,000 people across the World.